In November 1960, soon after Mazagon Docks was taken over, Government approved the construction of three Leander class frigates. MDL held discussions in Britain with shipbuilding firms and the Admiralty. After receiving MDL's report on its requirements for additional facilities, the British firm of Sir Alexander Gibbs and Partners (who were also consult�ants for the Expansion Scheme of the Bombay Naval Dockyard) were retained to advise and prepare plans for expanding MDL's facilities, both for ship repair and ship construction. In 1964, agreements were concluded for the construction of the latest design Leander class frigate, in step with the construction of a similar frigate in Britain to be commissioned in 1969. This would enable the personnel deputed by the Navy and MDL to undergo training, to see and learn at first hand how a modern frigate was built and inspected at every step and subjected to rigorous harbour and sea trials before acceptance into service. Nilgiri's keel was laid on 15 October 1966. She was commissioned on 3 June 1972. The problems encountered and overcome, and the delays experienced, have been recounted in the previous volume of this series �Transition to Triumph - The History of the Indian Navy 1965-1975�. Initially, the Government had ordered only one frigate. There was delay in placing the order for the second and third frigates because India was going through a foreign exchange crisis. Eventually in 1967, an order was placed on MDL to build two more frigates. Naval Headquarters took advantage of this delay to upgrade the radars, fire control systems and the Action Information Organisation (AIO) of the Operations Room. �We found that the company SIGNAAL in Holland, which supplied the fire control equip�ment and the radars for the Dutch Navy's Leanders, had superior equipment, superior in the sense they were already using digital electronics as opposed to the analog elec�tronics of the British systems. The Navy, therefore, felt that if we went in for the indigenous manufacture of the analog systems, we would be stuck with them for the next several years. Why should we make outdated analog systems when digital electronics were already coming into vogue? If we were going to make anything indigenously, we should start with something technologically more up to date than the obsolescent analog British systems then avail�able. The VM 45 fire control system for the 4.5-inch gun. Two VM 44 fire control systems for two, sided, Seacat anti aircraft guided missile launchers. Long range Air Warning Radar LW 04, Surface Warning Radar DA 05 and Navigation Radar ZW 06. DS 22 Display Systems in the Operations Room. This system was still under development by Signal and the Indian Navy was the first customer for it. Since a better, modified British Sonar 184 M was being offered, it replaced the earlier Sonar 184. Himgiri's keel was laid on 4 November 1968. She was launched on 6 May 1970. MDL had been able to reduce the time between keel laying and launch from 25 months to 18 months. The fitting‑out, however, was considerably delayed due to the late arrival of major items, both from abroad and within India. The machinery installation was completed in December 1973, Basin Trials were successfully completed in January 1974 and the Contractor's Sea Trials commenced on 6 April 1974. At the pre�liminary full power trials, the temperature of the gearbox bear�ings was found to be rising above acceptable limits. The gearbox was the first to have been made in India to the Swiss MAAG design. In consultation with the Swiss designers, it was decided to modify the bearings and check the alignment of the turbines. The Repeat Contractor's Sea Trials in September 1974 were successful, and Himgiri commis�sioned on 23 November 1974. On the plus side, Himgiri got better radars, sonars, AIO and fire control equipment and two Seacat guided missile launchers instead of one. Design changes were also made in the communication systems and the layout of mess decks to improve habitability in tropical conditions. Since orders for the second and third frigates had been received together, MDL was able to build them faster than the first frigate. The fabrication work on the third frigate, scheduled to commence in January 1970, started in April 1970 due to late receipt of steel from Hindustan Steel Ltd. In 1969‑70, there had been an acute shortage of steel. MDL had been able to carry on production without serious dislocation because its earlier orders for steel had materialised. By 1970‑71, however, the fall in steel production adversely affected MDL's work. The interval between keel laying and launching increased to 25 months. The main machinery that should have arrived at the time for the ship's launching in October 1972 was actually received in May 1974, thereby further delaying the ship's commis�sioning till 18 February 1976. Orders for the next three frigates were placed in July 1970. The fourth Leander was launched on 9 March 1974. She was on the slipway for only 14 months as compared to 18 to 25 months for the second and third frigates respectively. Fitting out was affected by delays in receipt of indigenous as well as imported equipment. The main engines and gearboxes were received in May 1975. Basin trials were carried out in October 1976 and sea trials completed satisfactorily in November / December 1976. The final inspection of hull, weapons, radio compartments and systems was completed in early 1977. Dunagiri commissioned on 5 May 1977. The time between keel laying and launching had been reduced to 14 months. The time from launching to delivery had been reduced to 38 months - the shortest period yet achieved. Never�theless, the total of 58 months from start of production was still too long by world standards. On the other hand, the range of equipment being indigenously produced for the first time by Indian industry was impressive - main boilers, main turbines, main gearing, main circulators, turbines for turbo alternators, diesel alternators, stern tube bushes, heat exchangers, radar and fire control equipment, data processing computers, air condition�ing and refrigeration machinery, broadcast equipment, telephone and tele printer equipment, main and auxiliary switch boards, com�plex system valves, fire detection sensors and a host of other minor equipment. By the time the fourth Leander had been built, considerable confidence had built up at all levels. In 1972 and 1973, operating experience started building up on the newly commissioned first Leander, the Nilgiri, and the recently acquired Seaking anti submarine, dunking sonar heli�copters. In view of the continuing acquisition by Pakistan of modern submarines from France, it was clear that future Leanders would require greater anti submarine capability. In early 1973, Naval Headquarters initiated studies to im�prove the anti submarine capability of the 5th and 6th Leanders. These changes crystallised in mid 1973. The major changes envis�aged embarking the heavy Seaking helicopter (instead of the smaller MATCH role helicopter) and improving the anti submarine sonars and weapons. In 1966, the Canadian Navy had pioneered the operation of a Seaking helicopter from the deck of a frigate. This entailed designing a 'Bear Trap' Haul‑down and Traversing system for moving the heavy helicopter on the small flight deck, providing a large hangar and strengthening the flight deck to bear the weight of a heavy helicopter. All these changes would affect the ship's overall design, stability and sea-keeping qualities. To meet the conflicting requirement of a large hangar and a long clear flight deck, the hangar would have to be telescopic. Extra flight deck space aft could only be made available by removing the anti submarine Mortar and the Variable Depth Sonar wells. �When I came back to NHQ in 1973, NHQ had decided that the design of the fifth frigate would be given to the Director (ate) of Naval Design (DND) and not to the Director (ate) of the Leander Project (DLP). As DDLP, I realised that we really did not have much to do, because if the design was being done by DND, what was going to be DLP's role? In those days, DND had come up with a design for a new weapon package. �In the meanwhile, I went into the technical feasibili�ty of DND's design to see whether a large anti submarine helicopter like a Seaking could operate from a Leander. I distinctly remember we consulted some Admiralty Fleet Orders and then invited the DND, who had earlier given an opinion that this was not feasible, to discussions with DLP. When I went into it, it was on a limited presumption that the anti submarine Mortar Mark 10 fitted at the rear end of the ship was required and that it could never be removed. Then we came up with the idea that if the mortar well was covered up, the overhead space would be just enough for a Seaking to operate from there. The anti submarine mortar could be replaced by another type of forward throwing rocket launcher like the Swedish Bofors SR 375. Then I worked day and night so that no one else would come to know what we were doing. Between Constructor Captain Choudhary who was in the Directorate of Leander Project and myself, we did all the initial design work, showing the new flight deck, show�ing the new helicopter and showing the new weapon package that was involved. This was the most creative time of my life as a designer. The British Mortar Mk 10 anti submarine ahead throwing weapon fitted aft would be replaced by the Swedish Bofors SR 375 Twin Rocket Launcher with its integral magazine and hoist, all fitted in the bows forward of the gun mounting. Two, sided Torpedo Tube Launchers would be fitted to fire the latest Italian A‑244 homing torpedoes being acquired as successors to the obsolescent British Mk 44 torpedoes. British Graseby's 184 SS (solid state) search sonar would be fitted in lieu of the earlier valve version Sonar 184 M in the preceding Leanders. French Thomson‑CSF solid state, search and attack sonar Diodon would be fitted in lieu of the earlier valve version attack Sonar 170 M in the preceding Leanders. British Graseby's Sonar GI 738 Underwater Telephone would be fitted in lieu of the earlier Sonar 182. India's Department of Electronics would produce the ASW fire control computer to control the new SR 375 Rocket Launcher and the deck launched A 244 torpedoes. The latest available Italian electronic warfare equip�ment would be fitted. The design work for these extensive modifications was, for the first time, undertaken by the Naval Design Organisation. These design changes delayed the commencement of construc�tion, which should have started immediately after the launching of the fourth frigate. Production could commence only in April 1975. The keel was laid six months later and the ship was launched on 25 October 1976. Thereafter there was a major set�back in fitting‑out because of a delay of one year in receipt of the main engines. This created its own chain of delays. Con�tractor's Sea Trials commenced in April 1979. During trials, vibrations were observed in the main turbines. The defects were rectified, repeat sea trials were satisfactorily completed in December and Taragiri commissioned on 16 May 1980. Whilst the time from keel laying to launch had been only 12 months, the least period so far, the time taken from launching to commissioning was 43 months, much more than the time taken for any of its predecessors. Vindhyagiri was the first Leander to have the steam-atomised Dieso-burning system to mitigate the boiler refractory problems that had been experienced in the earlier Leanders. In other respects, she was identical with Taragiri. Construction com�menced on 5 July 1976. Her keel was laid on 5 November 1976, and she was launched on 12 November 1977 after a period of 12 months, the same time as was taken for the Taragiri. She commissioned on 8 July 1981, having taken 44 months from launch to delivery. �My deputation to the Admiralty Marine Engineering Establishment, Haslar was to associate with the trials team formed by the Royal Navy for converting their boilers from FFO to Diesel. The Royal Navy found it expedient to go in for a single fuel at that point of time, because of the induction of gas turbines into their Navy. Having FFO burning Leanders and follow on steam ships would create logistic problems for them, and therefore, they thought it wise to go in for a 'single fuel Navy'. �Added to this, they had problems while oper�ating steam ships and steam boilers in that some of their ships had experienced a number of furnace failures and explosions. It was with this in mind that they thought they would overcome the problem by changing over from FFO to diesel. �The Indian Navy got a place for one Engineering officer to participate in these trials, which were really of a Research and Development nature and buttressed by actual trials on a Y‑160 boiler at Has�lar. Trials were done in a most methodical and professional manner, where frequent inspections of the furnace from inside were backed by a lot of effort from their labs in UK. A number of burners were experimented with until they arrived at the most optimum geometry for these burners, which gave the most optimised atomiser for the burning tips. Although trials were not hundred percent complete, my deputation period ended on a satisfactory note of not having any major problems with the burning of diesel. Trials did continue after I returned. This table shows the improvement in sensors and weapons between the first and the sixth Leander. Equally significant improvements were effected in the engineering and electrical machinery. The Leander Frigate Project, which commenced with the con�struction of the Nilgiri on 23 October 1966, completed with the commissioning of the Vindhyagiri on 8 July 1981. During these fifteen years, six frigates were delivered, an average of 30 months per ship. By the time of the 6th Leander, the indigenous content of bought out equipment had risen to 70%. The 5th and 6th ships had an imported content of only 27% as against 70% in the case of the first frigate. �The specifications, the very fine tolerances, the performance ratios and the fact that all equipment had to be shock‑proof, were parameters which Indian Industry, by and large, were totally unaware of and had never experienced. Thanks to the inspiration of Mr Krishna Menon, indigenisa�tion was progressed relentlessly. He had always maintained that unless India was self‑sufficient in major items of defence equipment, we would never be totally free and that, further if we were dependent on the West or on anyone else, we would be badly let down, in time of war when the 'crunch' came. And indeed this was proved time and again, in the conflicts with Pakistan in 1948 and 1965, when both Britain and the USA imposed embargos. �Today looking back, it is quite extraordinary the degree to which indigenisation was achieved. For instance, we are now accepting, without demur, the Main Gearing being manufactured by Walchand Nagar in collaboration with MAAG of Switzerland. And yet in 1966, when this was first suggest�ed, there was horror. The very idea of a highly sophisti�cated piece of equipment like the main gearing being manu�factured, way out in the middle of nowhere, some 60 to 70 miles outside Poona, in what was originally a sugar factory in a little village, was unbelievable to most. And yet it did succeed. �The Directorate of Leander Project in 1969/1970 was very exciting. I had excellent colleagues. On the electri�cal side there were Commanders Baxi and Ganesh, on the engineering side there was Commander Bose. We did the very first composite layouts of compartments like the galley, the electronic warfare office, the electronic warfare equipment room etc. We did the complete air conditioning of the Nilgiri. �I also did the collapsible hangar, which the Royal Navy did not have. We needed a hangar that could collapse like an accordion, so that when the helicopter was landing, the hangar would be closed and when the helicopter was parked, the hangar would be open. Nobody had done this in a ship of Nilgiri's size. We got a company called Dominion Aluminum Fabricating Company of Canada to do the collapsible hangar. �It was a very interesting time because we were learning on the job. And stupid mistakes used to happen also. I went to Mazagon Docks for an inspection of the helicopter landing deck. The Alouette is a three-wheeled helicopter, the front wheel is in the middle. The helicopter guide plat�forms were welded as per the original British design for the British Westland Wasp, which was a four-wheeled helicopter. When I went and asked the Naval Air Staff. 'Why didn't you tell us earlier'? I got no reply. To rectify that mistake, we had to change the whole insulation and the wiring. We did a lot of foolish things. But we were learning all the time. �We had the Department of Defence Production, Ministry of Defence, working hand in hand with Naval Headquarters and Mazagon Docks towards indigenisation. In retrospect, I would say this was the best and most systematic indigenisa�tion effort the Navy ever had. And taking the totality into account, it was possibly the best in the country at that time. �While the main engines of the first ship were imported, the second ship's set of main engines were made by BHEL in Bhopal, using the same English Electric drawings made in Foot Pound System by converting the measurements to the Metric System, which had been adopted in India and in which Bho�pal's machines were set. We also developed an indigenous version of Allen's steam auxiliaries with Jyoti of Baroda and BHEL Bhopal. A steam test rig was set up in Bhopal, financed by the Navy, to give these machines a test run under steam before accepting the machinery for installation on board. �Special weld-able steel, known as Ship Building Quality Steel or Lloyd's grade A/B is used in shipbuilding. These steels were not manufactured in India till then. We had the blessings of the Ministry of Steel to undertake the project at Rourkela Steel Plant and they did a fairly suc�cessful job, though it did not meet the specification to 100%. This steel was considered acceptable under deviation and used in constructing the second Leander. Subsequently, of course, it was found that imported steel was of quicker delivery and cheaper, and was used. Having established an indigenous source of manufacture of shipbuilding quality steel, we could always revert to it whenever necessary. �The boilers of the first Leander were erected in the Naval Dockyard Bombay. A new Boiler Shop was created and the boilers, with drums, tubes, mountings etc from the British firm Babcock and Wilcox were erected. Being very heavy and bulky, these boilers were put on trailers in the Naval Dockyard Bombay and transported to Mazagon Dock for installation on board. �The development of the main shafting was attempted at the Heavy Engineering Corporation (HEC) Ranchi. But HEC was experiencing serious administrative problems. As such the project did not finally succeed. They met the specifica�tions in only 50% of the items. They could have had 100% success had they carefully followed our instructions of cropping the ends of the forgings before rolling the shafts. In order to achieve good quality forgings for turbine rotors for the Navy and for Power Houses, HEC had initiated action for procurement and installation of a Vacuum Degassing Plant and a 6,000-tonne press. Unfortunately, after installation, these valuable plants were lying idle due to lack of initiative, and rotor forgings were being imported by BHEL and other turbine manufacturers. �The main gear cases, a very critical piece of machin�ery, were also indigenised. In the first Leander, we used imported David Brown gearing but for the second Leander we went in for ones to be produced at Walchand Nagar near Pune, under collaboration with MAAG Gearwheel Co of Zurich. Here again we faced many problems in conversion of metric CGS into Foot Pound Systems, as the terminals had to be in the FPS system to match with the turbines and shafting while the internals imported from MAAG were in CGS system. I must say that the Directorate of Leander Project (DLP), the Directorate of Marine Engineering (DME) and the Directorate of Warship Projects (DWP) under the Ministry of Defence Production burnt midnight candles in Walchand Nagar, checking every dimension and manufac�turing tolerance, meeting both FPS and CGS system of the terminal components. It was a success in one shot. �We had set up a Test Rig using a redundant cruising turbine of a Khukri class frigate for back-to-back test under actual steam and give both the gear wheels overspeed and overload runs of the kind it would experience in a ship for maximum exploitation. We were told that such trials were done only in Canada and in Switzerland. We ran continu�ous trials for 72 hours. The trial runs went as sched�uled except for one incident when one set of bearings failed. We immediately knew what it was due to. The repre�sentative of MAAG Gearwheel, a renowned designer, was present at the trials. We all agreed with the corrective actions and continued with the trials. I don't think such a bold step would be taken anywhere, to introduce into service a gear case, which was never tried earlier. We were very lucky that the propulsion system with the changed component gave no problem of noise or vibration in any mode. Overall, the Leander Frigate Project was, for its time, a significant achievement. The boldness of the naval decision makers, the enthusiasm, perseverance and dedication of the implementers in Mazagon Docks, in the Ministry of Defence Production and in the Navy, the as�sistance by the British Admiralty, by the British shipbuilding collaborators, Vickers and Yarrow, by the Dutch Design Bureau NEVESBU, the assistance of the diverse suppliers - all these contributed to the success of the project. 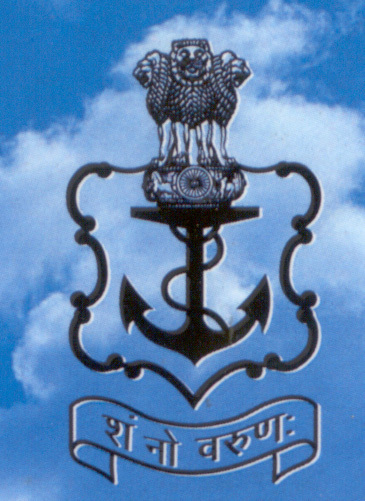 Particularly valuable was the close and informal interaction, between personages as high as the Secretary Defence Production, HC Sarin, his Additional Secretary (and later Secretary) MM Sen and their teams in the Ministry of Defence, Defence Production and Defence Finance, and the bright young naval officers of the Leander Project. Within the Navy, the elders trusted the youngsters to do what they thought best. The success of indigenisation was a direct result of the Indigenisation Study Group's free, frank and helpful interaction with Indian Industry through DWP and DPI (N). The self-confidence gained in this project by the Navy's weapon planners, the naval architects and the shipbuilder laid the basis for the success of the series of warships that followed.